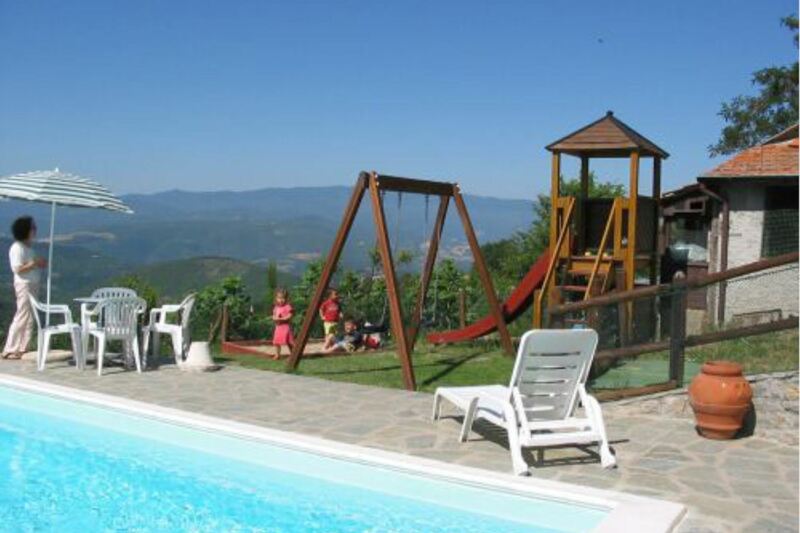 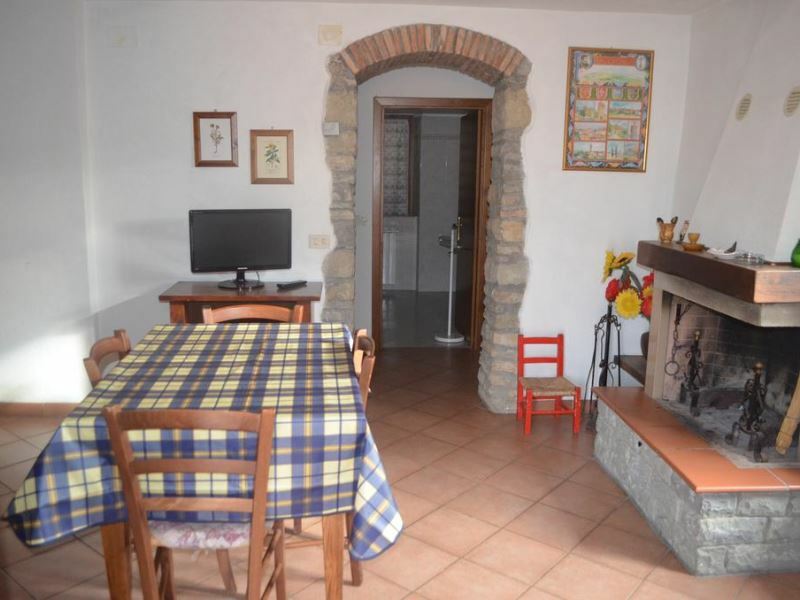 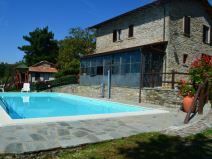 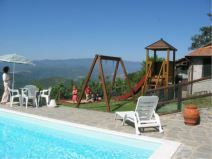 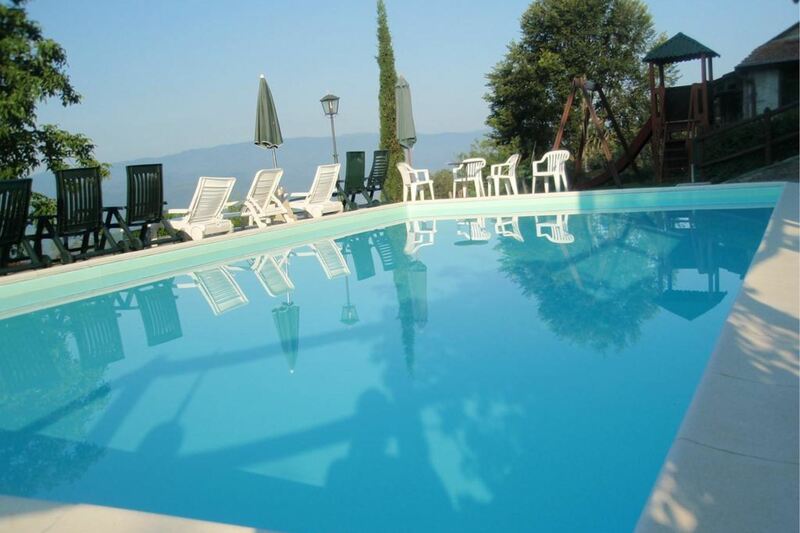 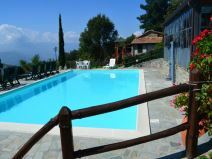 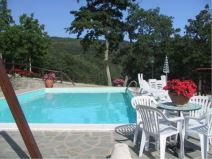 First floor Apartment for 4 persons in the green and fresh valley of Casentino, panoramic swimming pool and garden in common use. 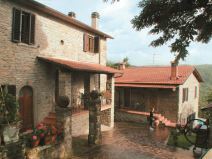 5 km from Chiusi della Verna. 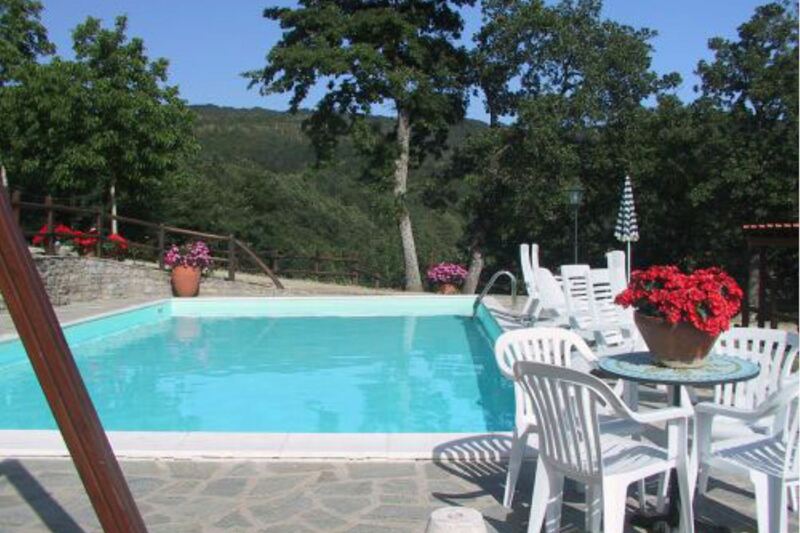 In the wooded hills of the upper Casentino Valley. 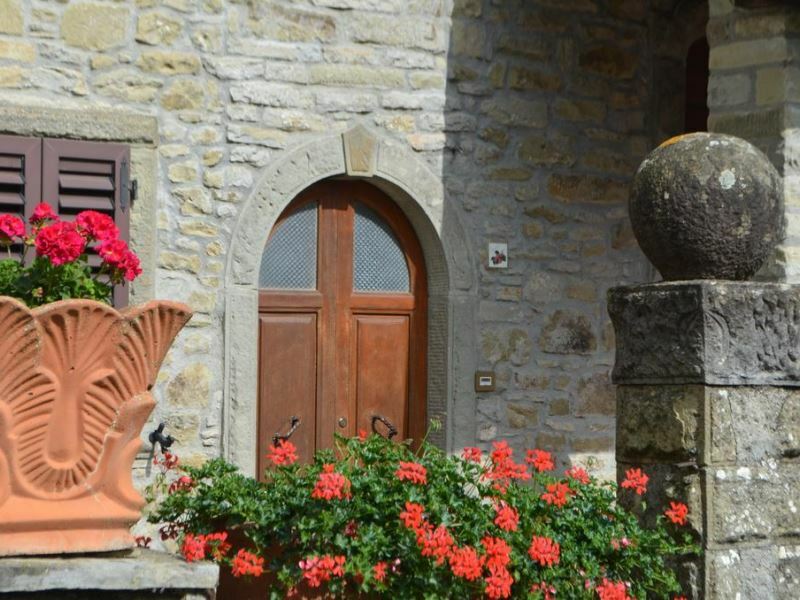 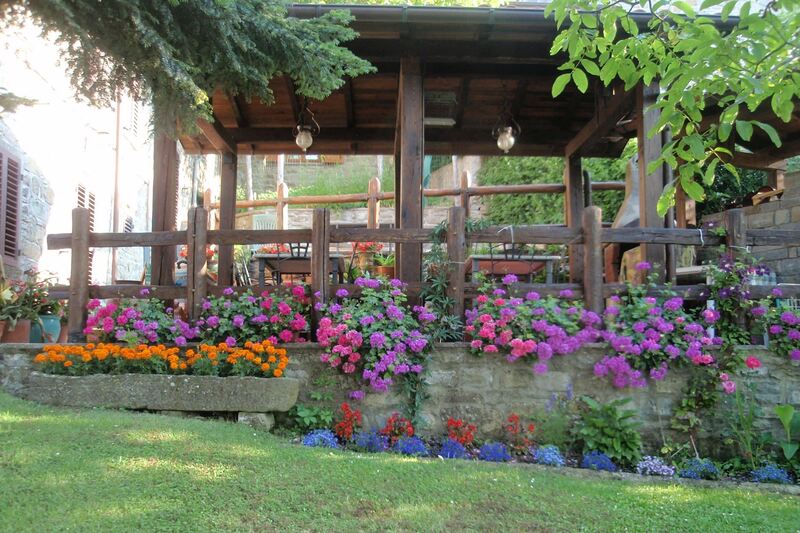 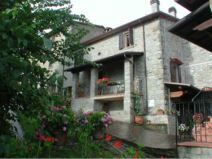 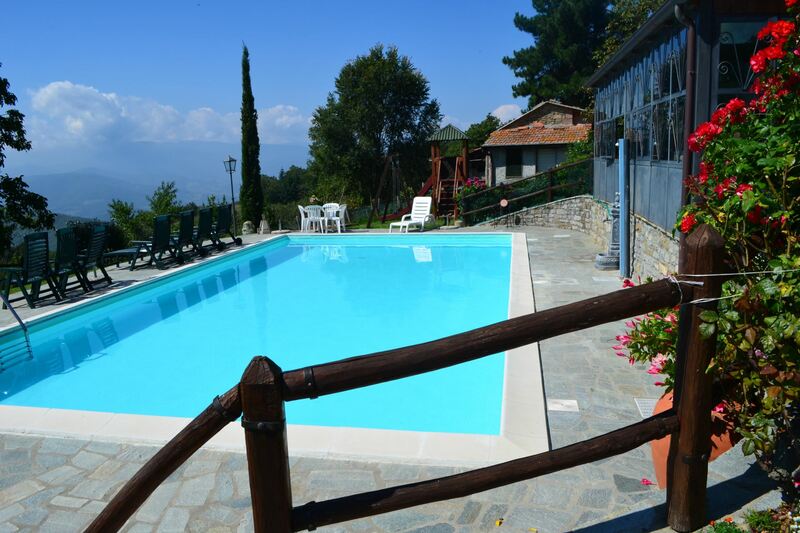 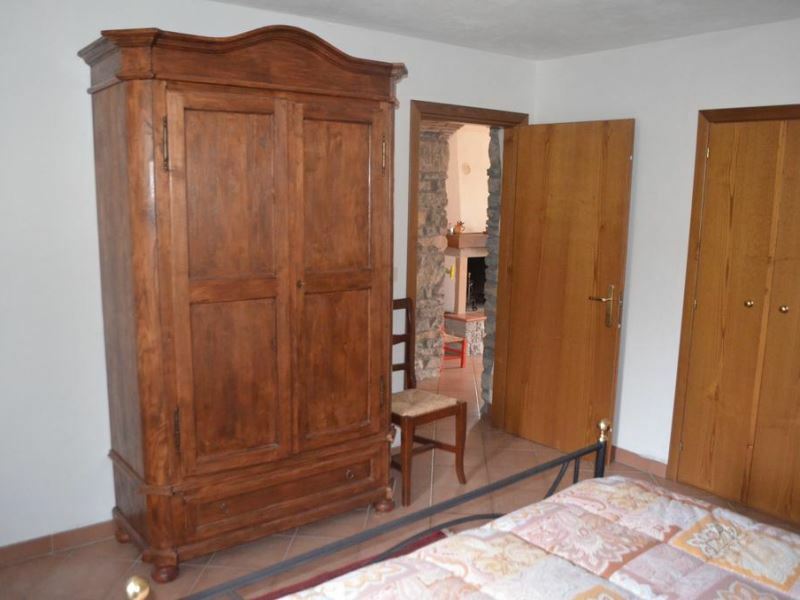 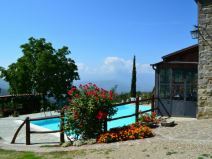 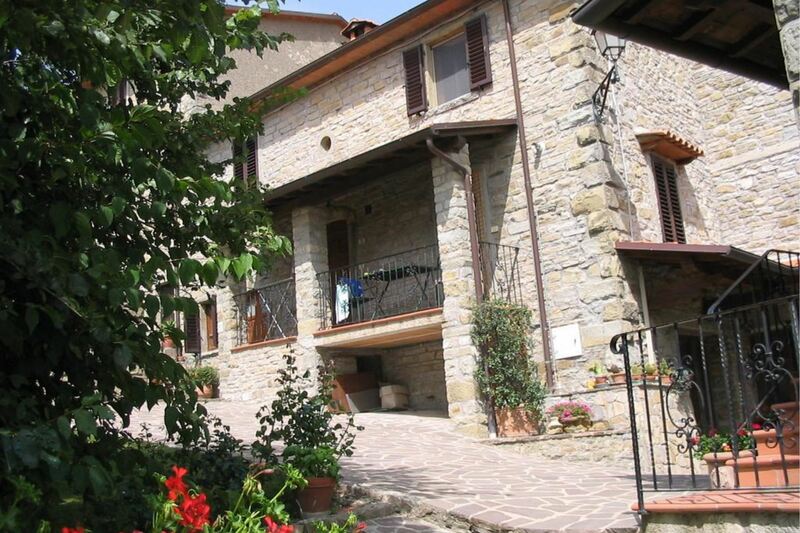 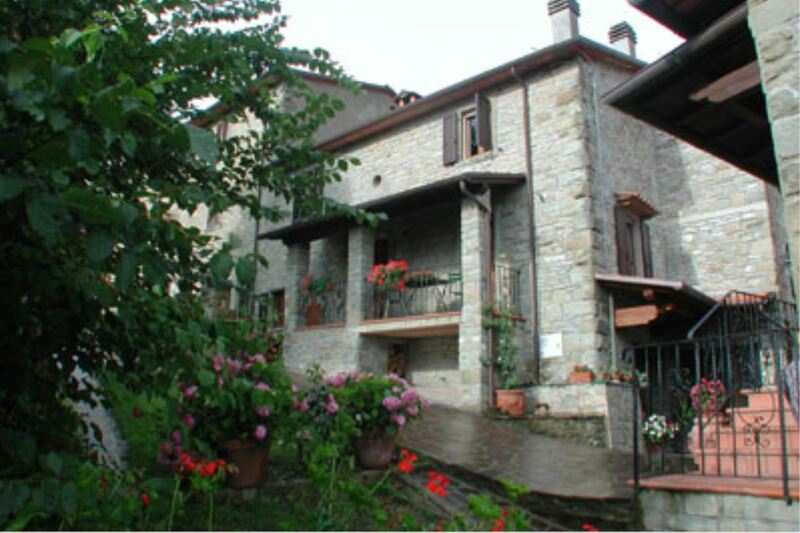 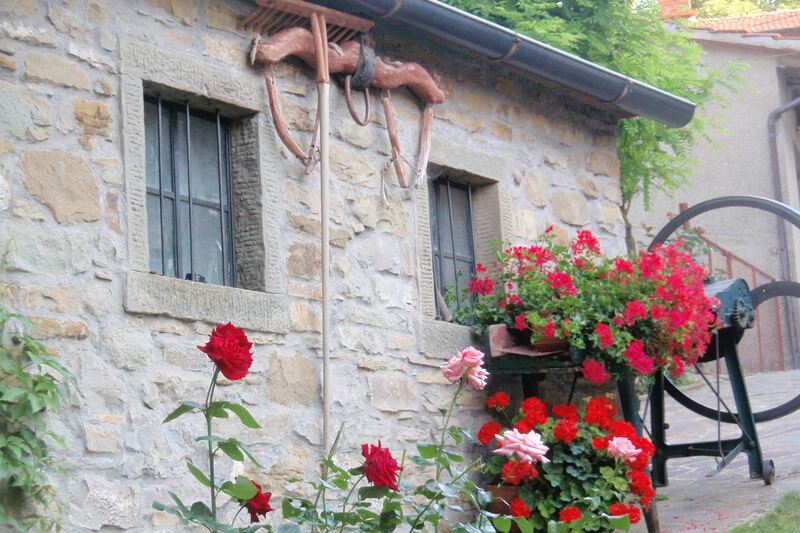 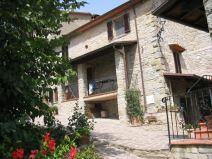 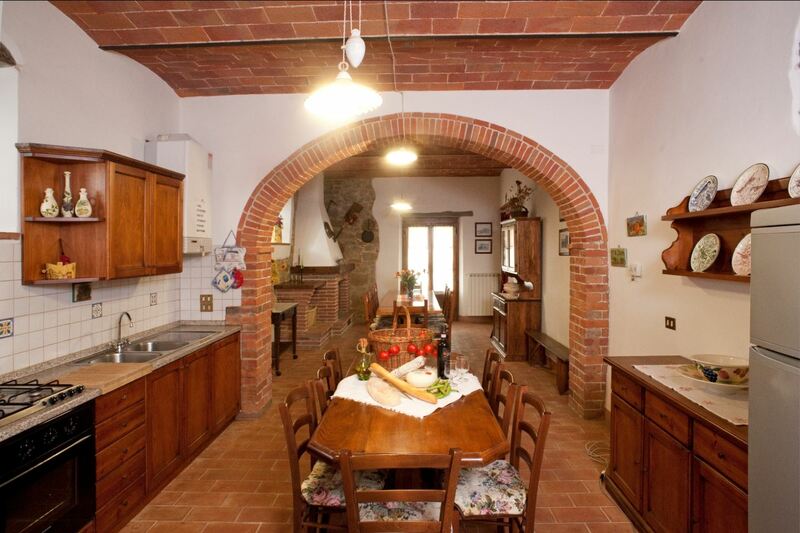 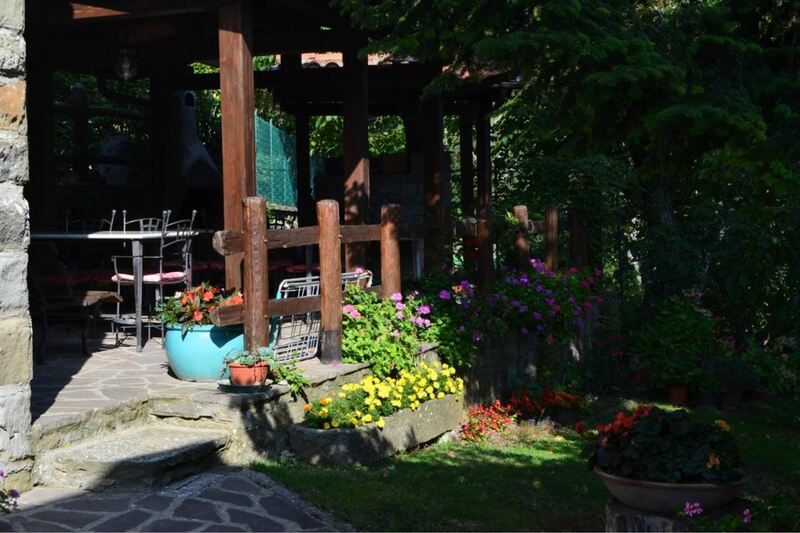 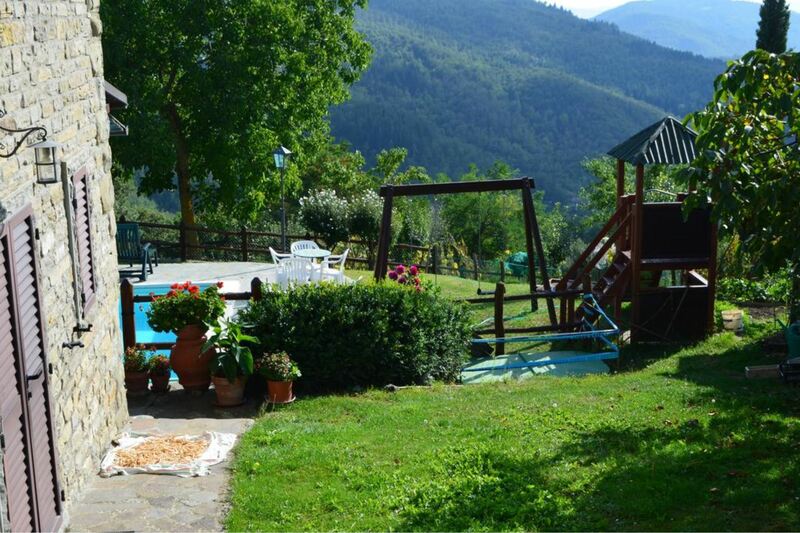 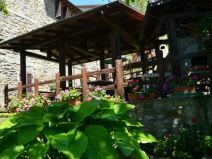 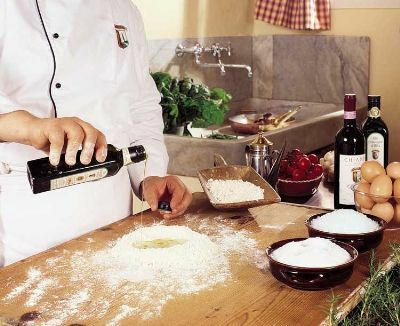 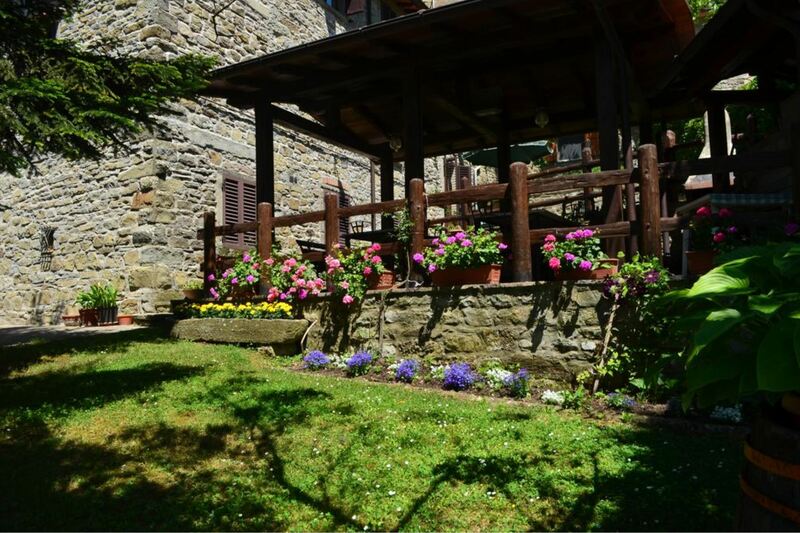 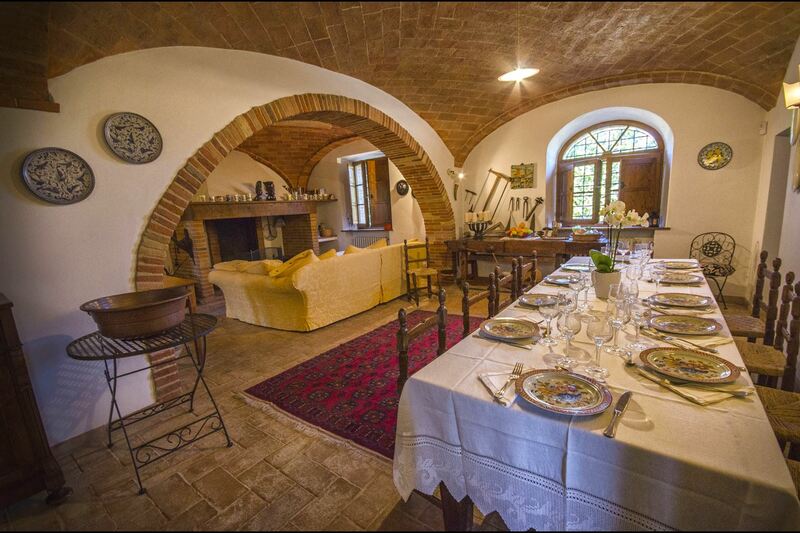 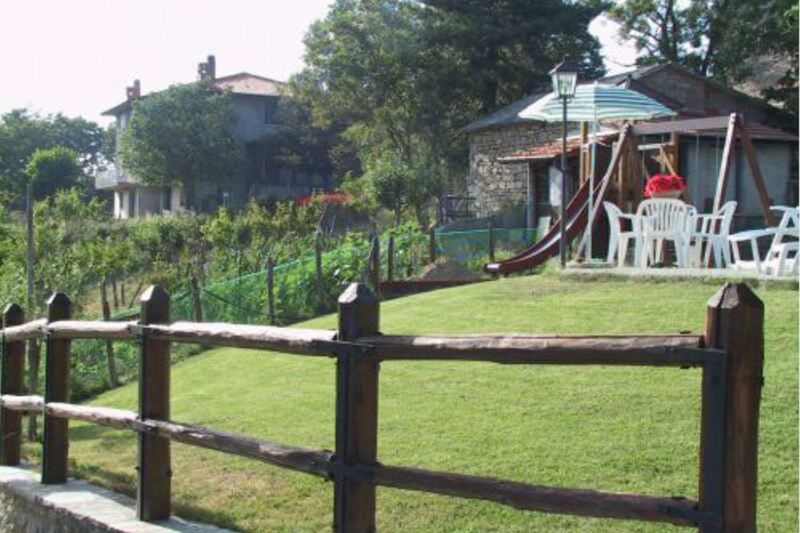 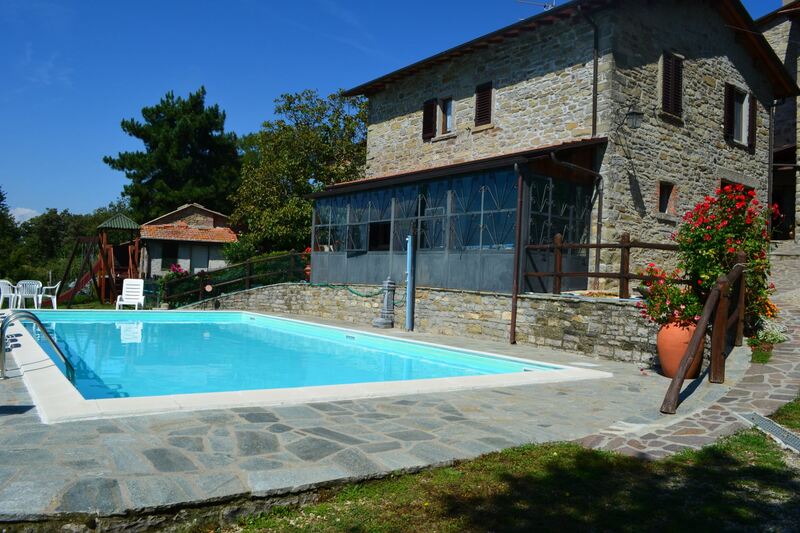 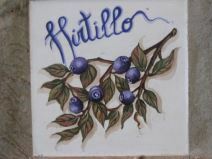 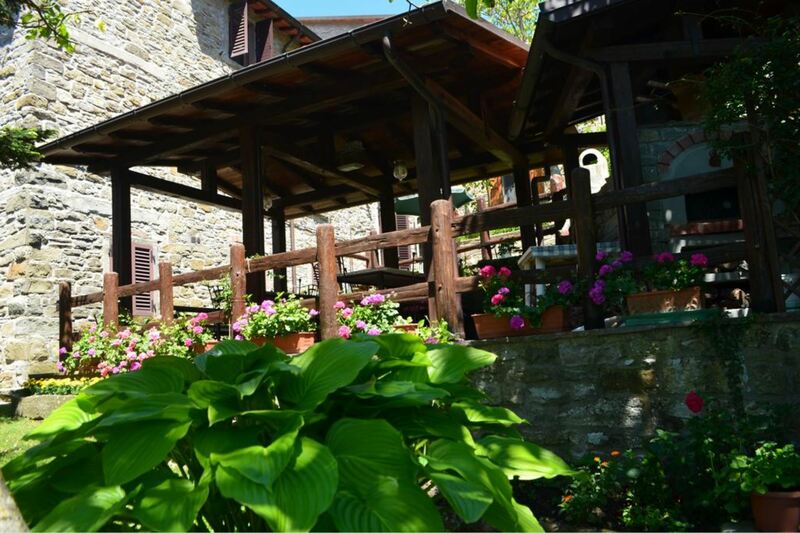 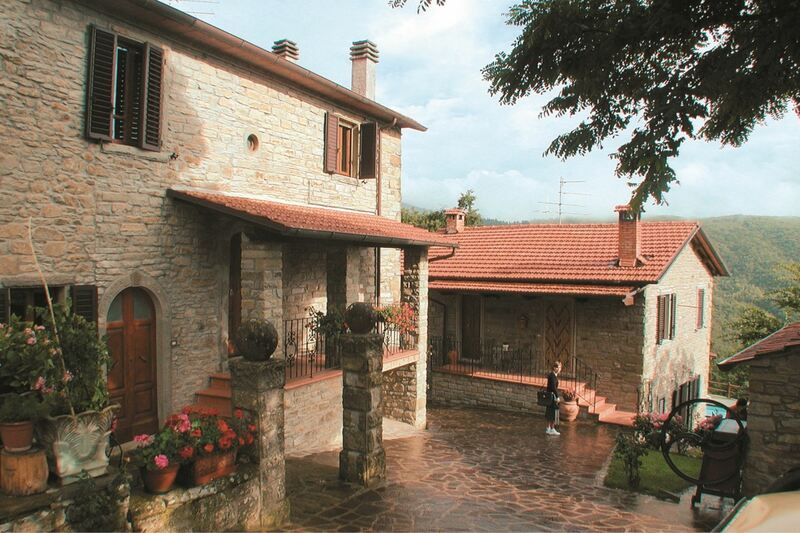 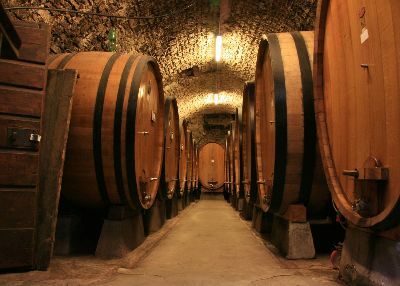 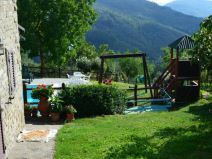 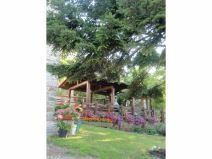 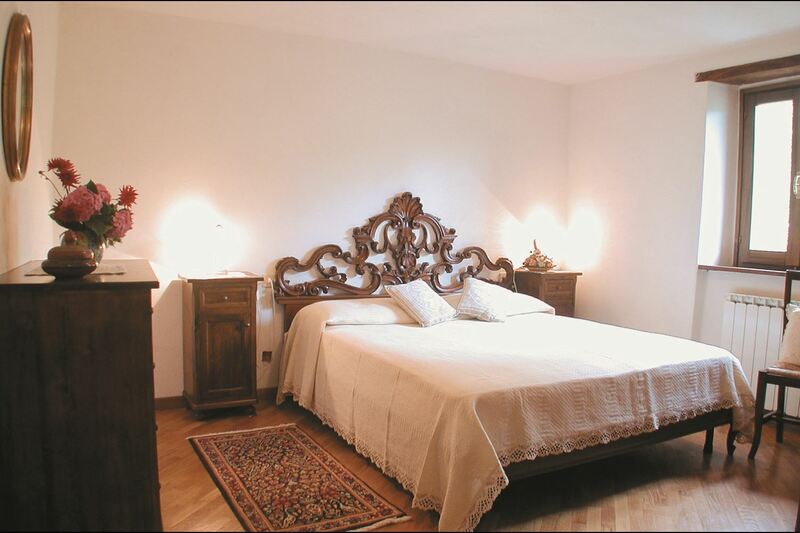 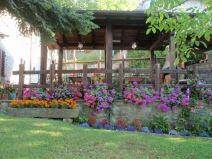 The Agriturismo Flora is located in the wooded hills of the upper Casentino Valley. 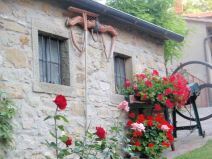 It is close to one of the most revered sites in Christendom, the La Verna sanctuary with its links to Saint Francis of Assisi. 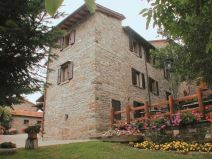 Apartments in an old, stone farmhouse. 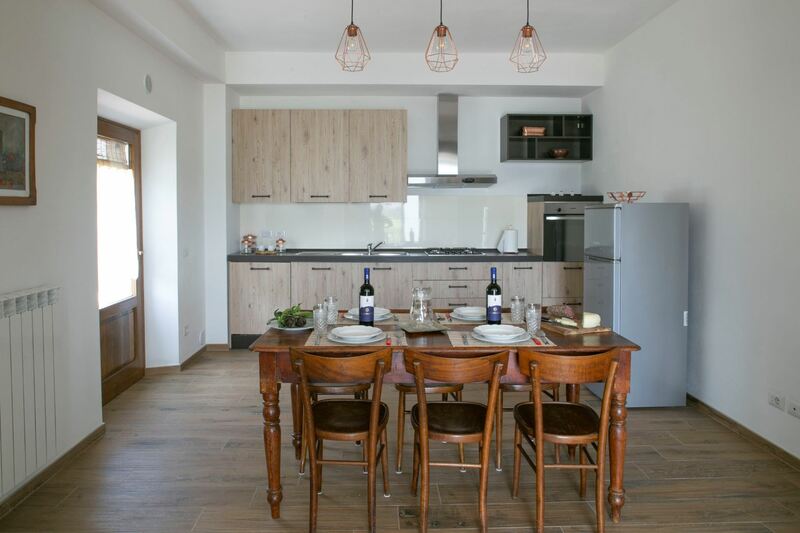 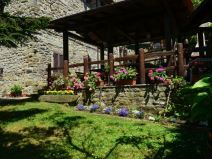 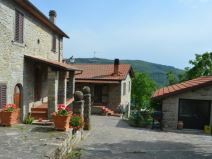 Accommodation is offered in 4 independent apartments which were obtained by rebuilding an ancient stone farmhouse, situated on the edge of a rural hamlet 750 m. above sea level. 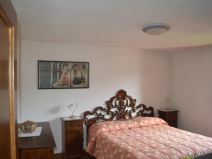 The apartments are well finished and tastefully furnished. 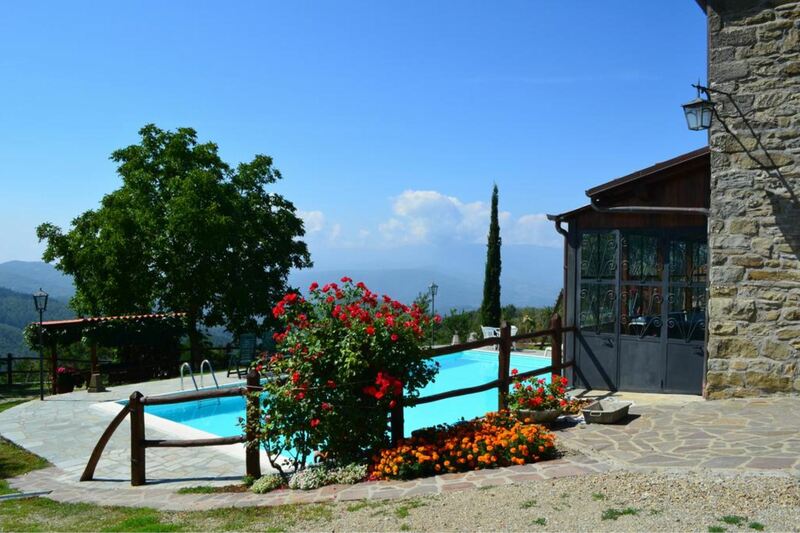 Guests can relax in the beautiful panoramic 6 x 12m swimming pool (depth 1,40m) which looks out over the wonderful view of the Casentino Valley, filled with castles, small Romanesque churches, terracotta reliefs made by the Della Robbia family and other spiritual sites. 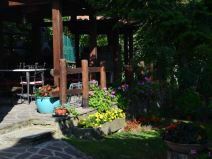 There is a multi-level garden with tables and chairs where guests can have barbecues and outdoor meals. 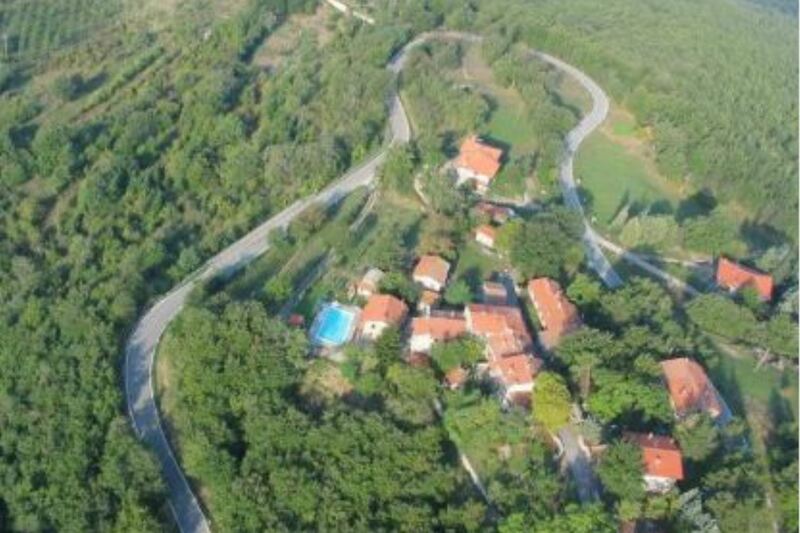 The nearby Casentino National Forest Park. 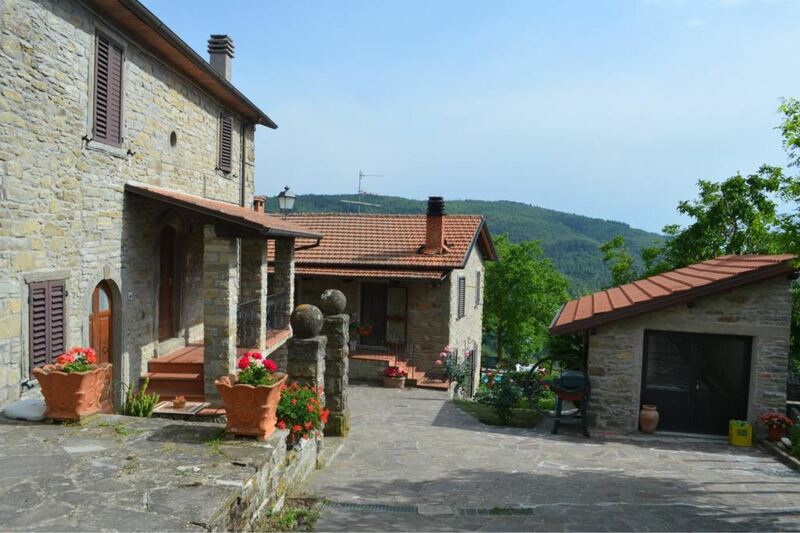 From the house, you can take a number of different itineraries, travel through green countryside and visit the Casentino National Forest Park or the large number of small townships, each with its own individuality, to be found scattered throughout the district surrounding the house. 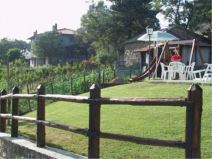 Communal washing machine, children playground and fenced soccer field. 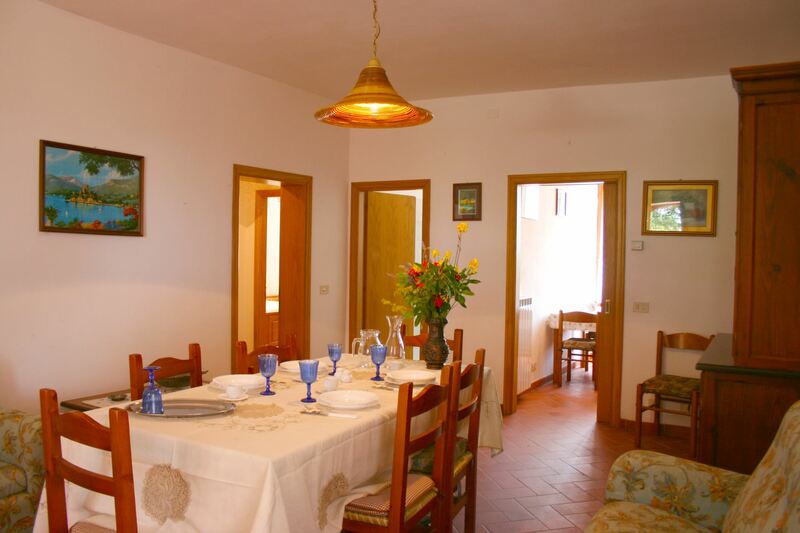 During July and August the owner will offer to a typical dinner once a week. 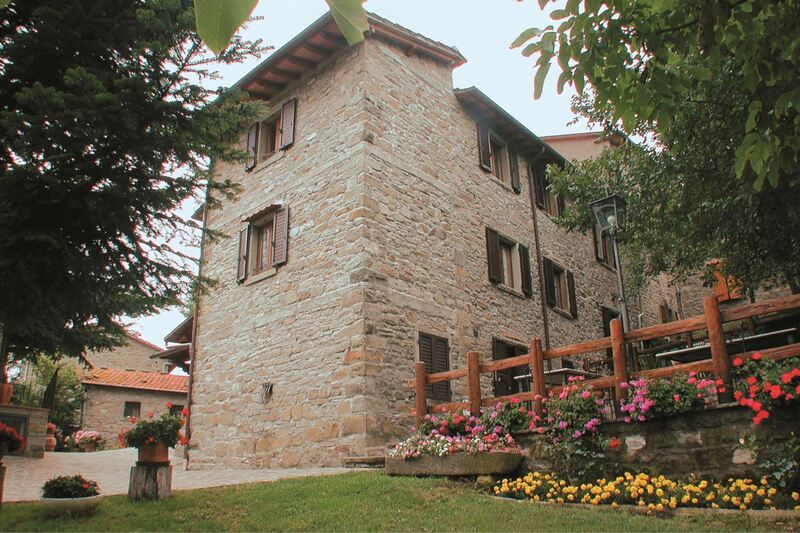 First-floor apartment with entrance from a private internal staircase, comprising living-dining room with kitchen facilities and open fireplace, double bedroom, twin bedroom, bathroom with spa bath. 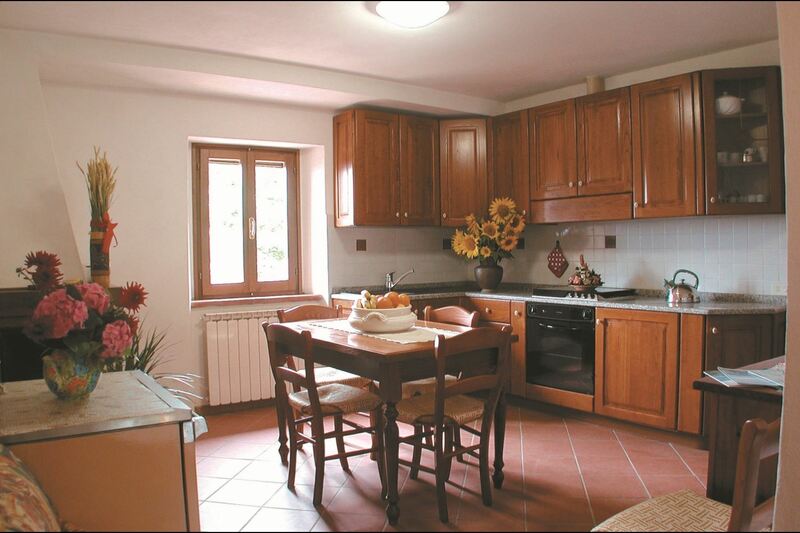 EQUIPMENT: Oven, Tv, communal washing machine, freezer, toaster, hair-dryer, microwave, filter coffee maker. 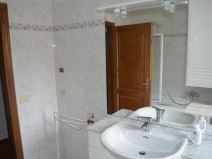 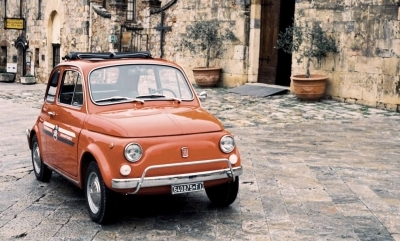 Heating Euro 6 per m3 per apartment (if used).